Click the Program tab above to view the Session Browser (available in April 2019). Students in the lower elementary grades are beginning to understand the world around them and the role they play in it. They are instinctively curious and want to make sense of their surroundings. By providing students with inquiry-based experiences in Science, Technology, Engineering, and Mathematics, we can unlock each student's natural curiosity and help them understand the world in an engaging way. The foundational skills learned and mastered through the integration of STEM during the early years, if done right, will help these students become critical thinkers and makers who can innovate the future they will be a part of. Sessions in this strand will emphasize open-ended and active exploration, learning through play, and hands-on investigation of the real world through the lens of NGSS. How do we respond to research that indicates that by the time our students reach the fourth grade, a third of them will lose interest in science? To reverse this trend and ignite their interest in future STEM careers, elementary students need quality learning activities and experiences that spark curiosity, promote confidence, support the rigor of current standards, and develop a solid foundation in the STEM areas so that they are prepared to both work and live in the 21st century. The sessions in this strand showcase hands-on, interactive programs and instructional strategies that support STEM and have been successfully integrated into the elementary core curriculum. In preparation for entry to college and industry, students must be able to apply their understanding in the context of real-world problem solving. In STEM for grades 9–12, educators help students succeed and progress through the pipeline, as they gain access to pathways for rewarding and productive careers. Here, STEM is integrated in classroom-based practices that highlight innovative, hands-on, student-centered approaches that seek to nurture curiosity, motivation, and achievement in these fields. See how educators are impacting student interest and teacher instruction and hear what is required to scale this across subject areas, schools, and districts. Workshops in this strand showcase the creative ways educators are addressing the challenges of engaging students in STEM while meeting the NGSS and Common Core Math standards. Successful STEM programs incorporate hands-on and real-life applications where students develop the skills and mind-sets needed to answer complex questions, investigate global issues, and develop solutions to real-world challenges. School and district leaders cannot create these opportunities on their own. They need to leverage the resources and expertise of experts by building partnerships to create STEM ecosystems to assist educators and to provide students with these prospects. Building partnerships with community organizations–including: business/industry, informal educators, home school educators, after-school programming, and education-focused entities–help to provide STEM experiences and connect preK–16 schools and universities to valuable resources needed to support the development of these skills. Leveraging those partnerships can be the key to to preparing students and supporting teachers to meet the needs of a dynamic workforce that is constantly changing. The sessions in this strand highlight select preK–16 partnership initiatives that have been successfully implemented and have demonstrated positive outcomes. In addition, school administrators will learn ways to assess the effectiveness of these partnerships on student and teacher performance. Join our community of post-secondary educators as important and relevant topics in STEM education are discussed and debated in this unique Edcamp/unconference format. Participation in STEM research and research on STEM teaching and learning is a primary focus for college and university faculty. 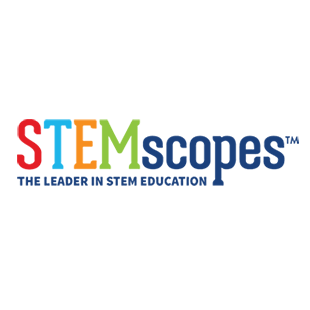 Interdisciplinary research in the STEM fields provides both the mode for the NGSS Science and Engineering Practices as well as the foundation for the disciplinary core ideas. STEM research is, by nature, interdisciplinary and crosscutting. Sessions in this strand will highlight pedagogical and discipline-based research on STEM teaching and learning as well as research in the areas of effective professional development, preservice education, and STEM fields of study. All post-secondary proposals should be submitted to the following address no later than 12 Midnight EST, February 15, 2019: postsecondary@nsta.org. Be sure to include your full name, school name, e-mail and cell phone number as well as a session title and 100-word description of your proposal. Click here for a full description of this strand. Earn one (1) or two (2) graduate-level credit/units in professional development through Dominican University of California course #EDUO 9034. To obtain credit/units, you must be registered for the 8th Annual STEM Forum & Expo, complete the required assignments, and pay a fee of $95 for one credit/unit or $190 for two credits/units. An NSTA transcript is also required. Register for graduate-level credit by Monday, August 12, 2019, and submit the required assignments by Saturday, August 31, 2019. Click here for complete details.